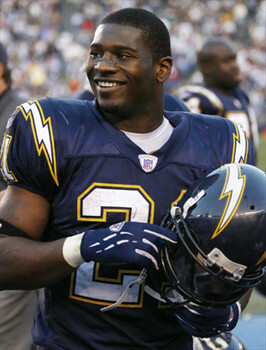 The San Diego Chargers honored our very own NFL legend LaDainian Tomlinson early this year by retiring his #21 jersey. 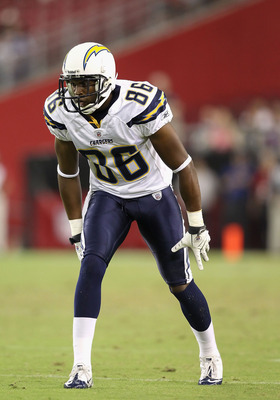 When it comes to football in San Diego there is no bigger star, than the famous ‘LT’. 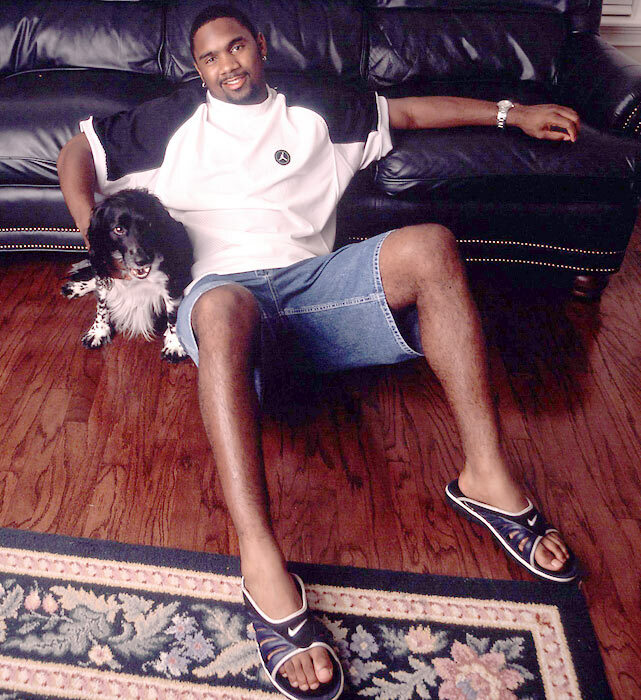 Besides his tremendous talents as an athlete, he’s also a compassionate animal lover. 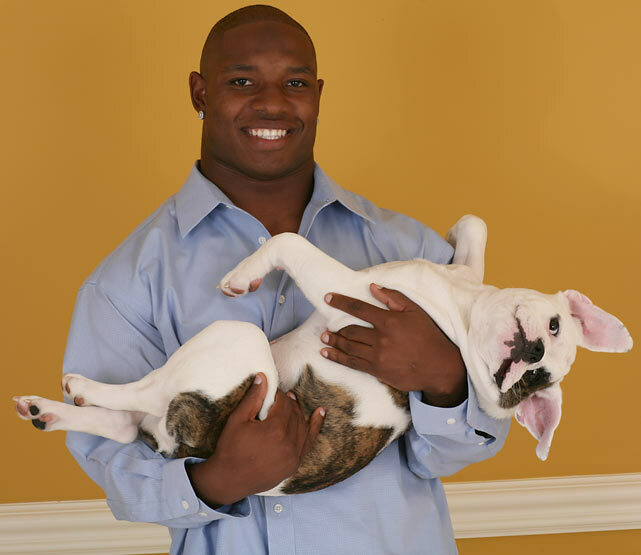 To celebrate his number 21 induction, the all time leading rusher hosted a pet adoption event at his San Diego pet resort, Snug Pet Resort . 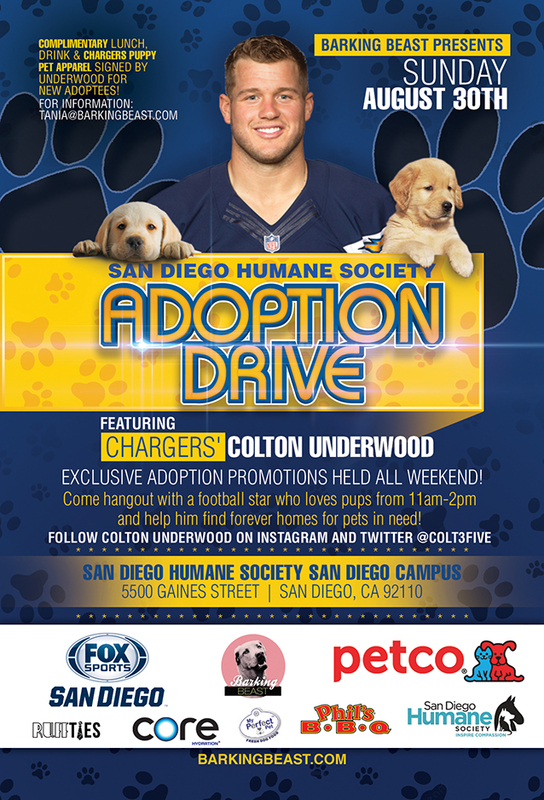 The event included autograph and picture signings with the Charger’s all-star as well with meet and greets with his MVP’s ( MOST VALUABLE PETS ) for adoption! 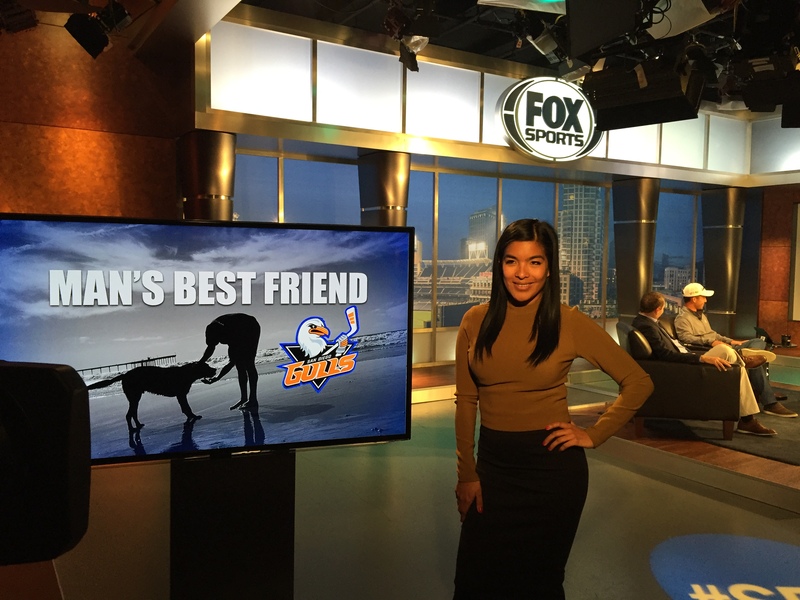 I caught up with Tomlinson on FOX Sports San Diego’s SDLive for a look inside his San Diego pet resort for pets! 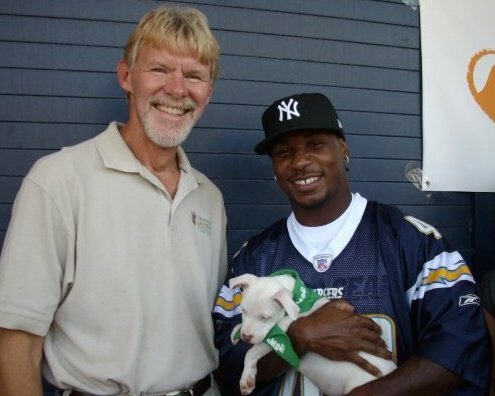 LaDainian Tomlinson, and the San Diego Chargers who love their dogs! 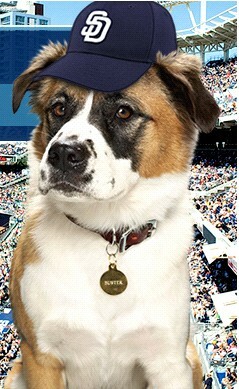 San Diego is home to the most pet enthusiastic people in the world. 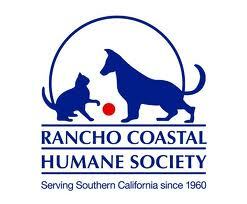 We have exquisite pet resorts, mountainous dog parks, and we are host the largest pet expo in the world. Heck, even our yappy hours for dogs are are held in nicer venues than that of happy hours for humans. 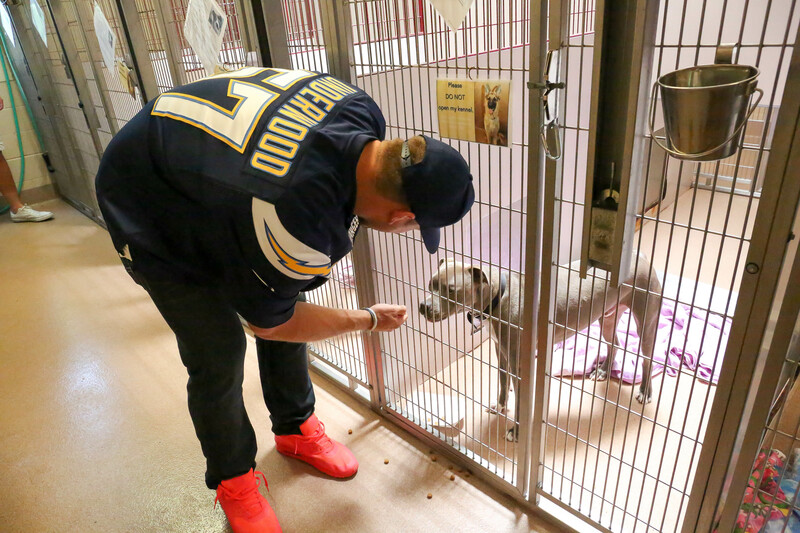 SO, it’s no surprise our love for dogs has rubbed off on the men who represent one of our cites greatest staple, the San Diego Chargers. 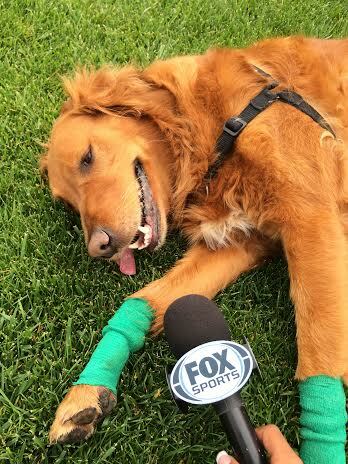 More than ever, sports stars are showcasing their love for pets on television interviews and in social media. 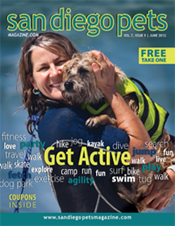 In fact, did you know San Diego’s #1 all-star football legend is owner of the cities most superb pet resort? Well, believe it baby! 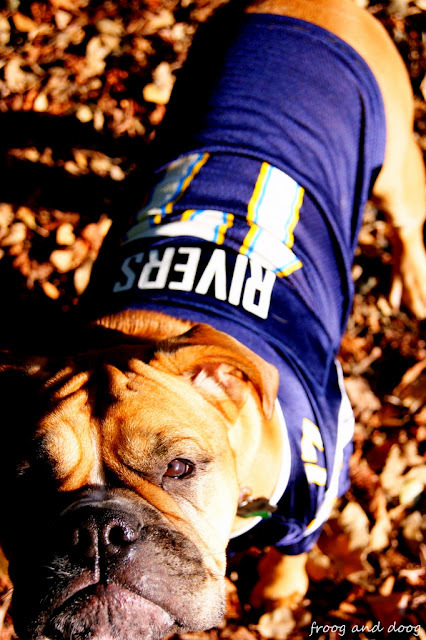 To celebrate the kick off to football season, we put together an archive of San Diego Chargers stars who love showcasing their love for dogs and the joy these amazing animals bring to our lives. First up is San Diego Chargers legendary all-star running back, Darren Sproles. Picture below with my friend and Director of Public Relations for Rancho Coastal Humane Society John Van Zante, Sporles attended the Iams Home 4 the Holidays ( IH4TH ), the largest pet adoption drive in history, in search of a pup to call his own. This running back has delivered dozens of monumental performances on the field with his impeccable running ability. Shortly after Sproles’ arrived to the Home for the Holidays adoption drive, he found a friend to run with and adopted the puppy you see him holding in the below photograph. 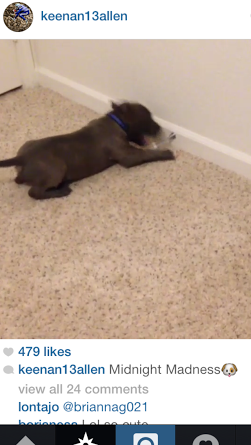 Keep up with Darren Sproles and his puppy through his Twitter account DarrenSproles! Offensive tackle for the San Diego Chargers, Joseph Barksdale is not stranger to showing love for animals of all kind on his social media @BazookaJoe72. The Chargers’ 2015 Lineman of the Year, has officially unpacked his bags after signing a new four-year contract with the team in March. 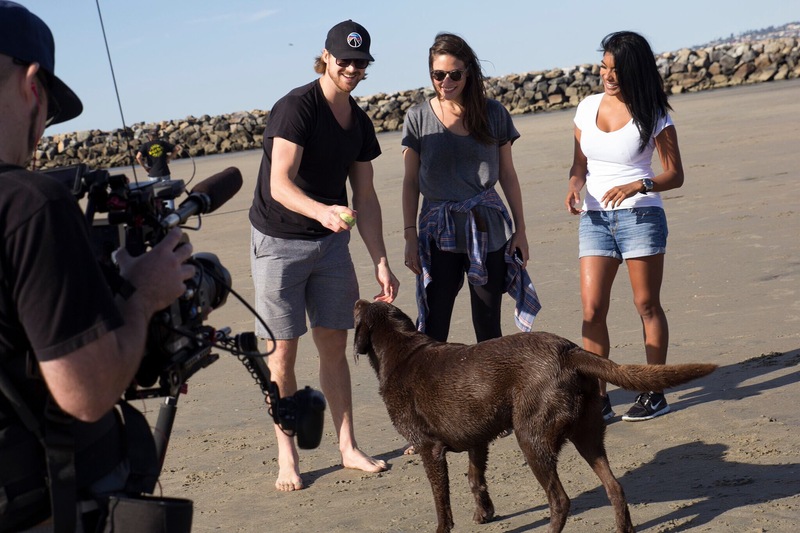 Enjoying the extended stay in beautiful San Diego, Barksdale was accompanied alongside his wife and adorable dogs who he is always sharing about on his Instagram. 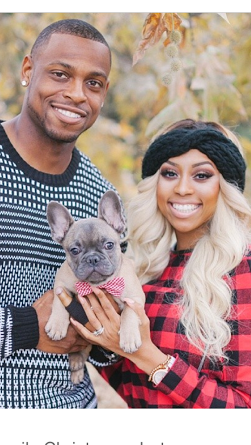 Barksdale loves his fur kids so much him and his wife went as far as including the dogs in their engagement photos! Now THAT is a serious Dog Dad! 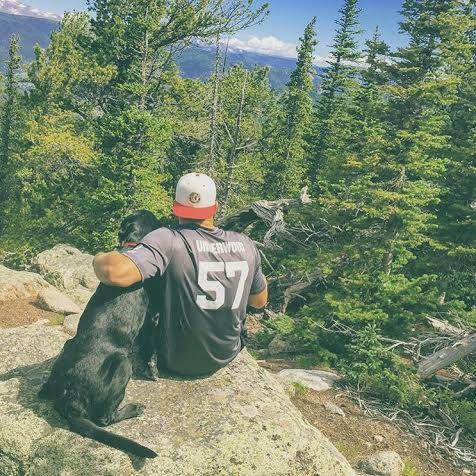 When he’s not on the field or with his wife and their fur kids, you can catch him in his jersey using his notoriety to help shine lights on the importance of loving animals in the community. Since his arrival he’s grown especially close to a certain canine, Officer Harvey the Chargers training camp canine police dog. 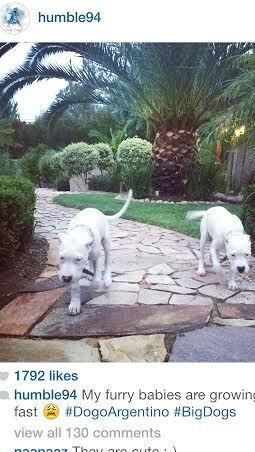 To keep up with Barksdale and his adorable fur kids be sure to follow him on Twitter and Instagram. 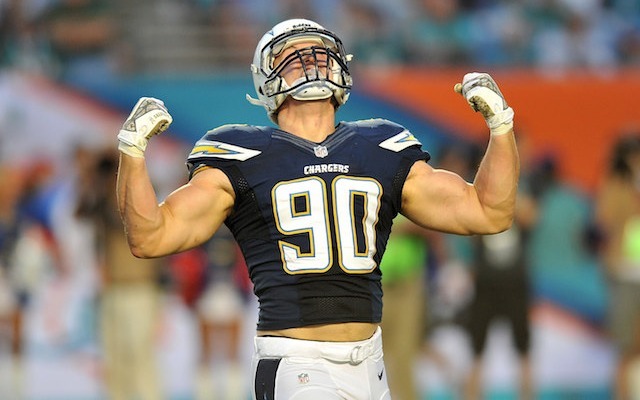 He’s expected to be a powerful factor going into the 2016 Chargers season so their will definitely be a lot to see from the tackle on and off the gridiron! Woof! Next is a beast whom Chargers fans should consider themselves blessed to have here in San Diego, the one and only beast- Corey Liuget. Corey Liuget a defensive end, has made plays for San Diego that seem like only GOD himself resurrected into Liuget’s body during the game. 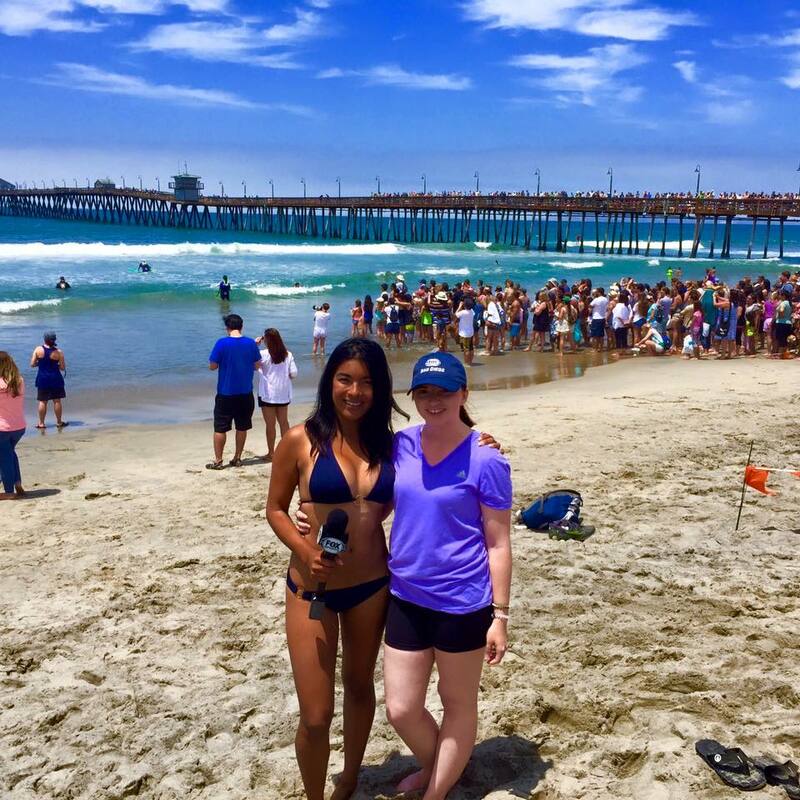 A huge enthusiast of his Chargers fan community, Liuget is known to show his appreciation to fans and team supporters by attending charity benefits throughout the city annually. 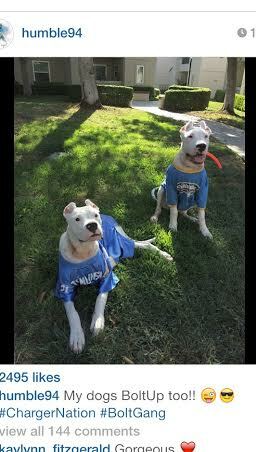 When he’s not busy with football and charities, Liuget enjoys to spend time with his two white pit bull mixes, his #DogoArgentino’s. As if being a dog owner isn’t attractive enough– next up is a canine enthusiast who uses his celebrity to help shelter dogs find homes. 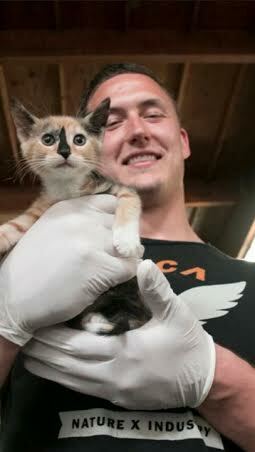 Thomas Keiser, an All-Star Chargers linebacker teamed up with the San Diego Humane Society for a campaign they called “Sack the Stereotypes”. The purpose of the cause was to tackle the mistaken rap pit bull’s have, and to shine light on how incredibly warm and gentle the breeds truly are making them wonderful family pets. Kieser even went as far to show love to our feline friends which soon after inspired several kitten adoptions at SDHS. When is comes to football, Thomas Keiser is the epitome of what it means to “Unleash the Beast”. A monumental playmaker, Keiser is most well known to San Diegan’s for his breathtaking interception against the legendary Peyton Manning, sealing the game and a huge win for the Chargers. 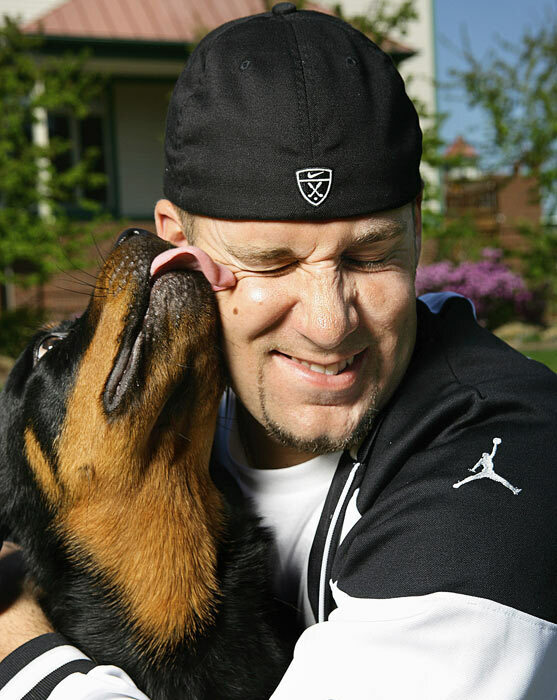 Keep up with Thomas Keiser and his enthusiasm for dogs by following him on Twitter at @ThomasKeiser. 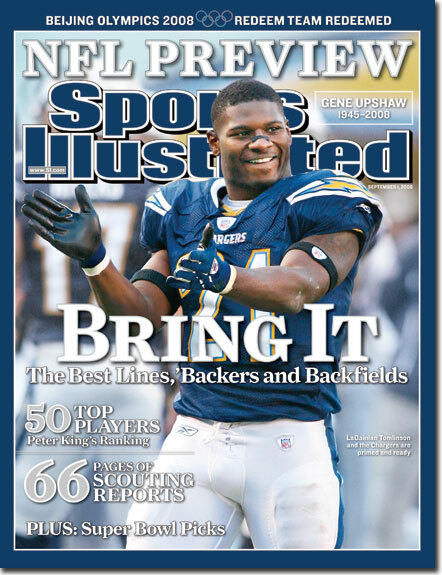 Next up is a Chargers All-Star and Dad to a blue nose mastiff pit bull mix. A TOP 5 finalists to in the Pepsi Next Rookie of the Year award, wide receiver Keenan Allen fills Qualcomm Stadium with excitement and joy with every touch down he seals. 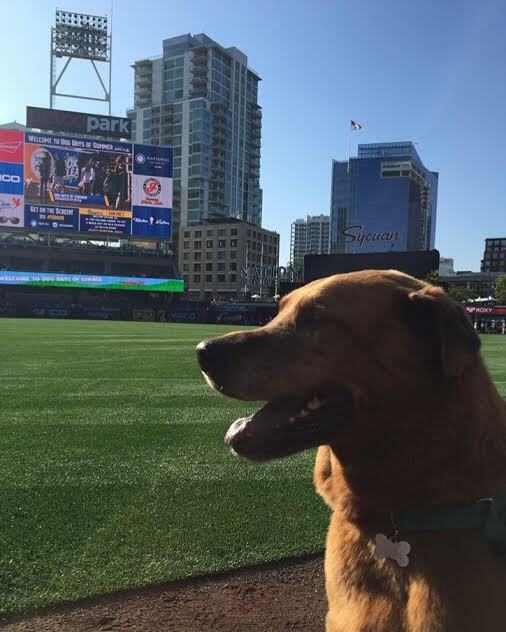 I had the honor of meeting him on the set of Fox Sports San Diego’s #SDLive, where he sat side by baseball legend Trevor Hoffman ( who is also a dog Dad to two bull-dogs ). Both Allen and Hoffman shared their immense love for dogs on set. Kennan even got close and personal enough to share he lets his pit-bull mix Steale join him in the shower from time to time. Ladies is that not hot or what!? 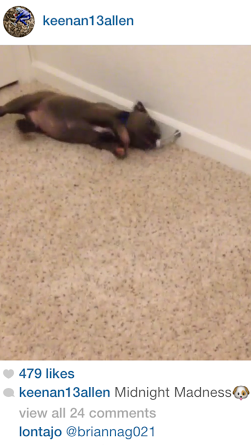 Pictured below are snapshots of a video Allen shared of his blue nose puppy pit bull mix Steel playing with a door stop on his Instagram. He captioned the video “Midnight Madness”. 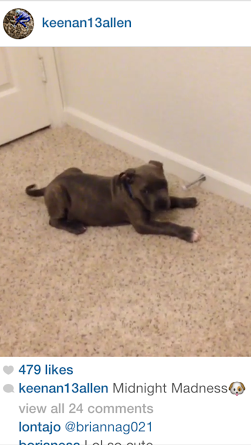 Keep up with Kennan Allen, his adorable new born daughter, and his puppy Steel on Twitter and Instagram @Keenan13Allen! Next is linebacker who puts forth as much effort doing work in the community as he does training for the gridiron. 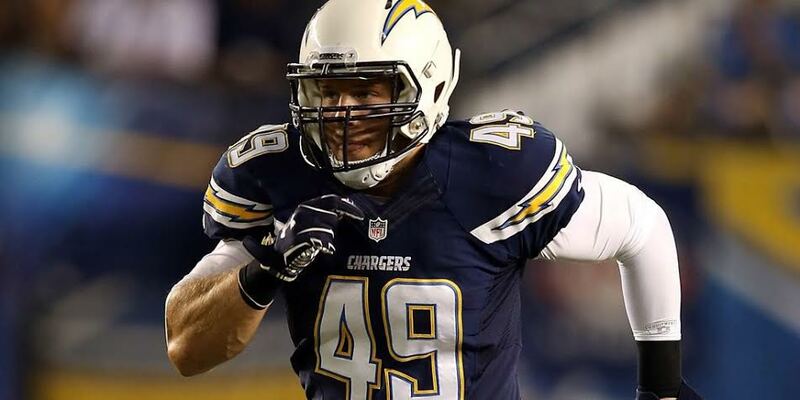 Colton Underwood a linebacker from Illinois State University was signed by the Chargers in 2014 and since then has been making notable impressions to that of his football coaches and sports fans of San Diego. Late last year, Underwood was picked up by the Oakland Raiders where he now plays as a tight end in the famous silver and black! 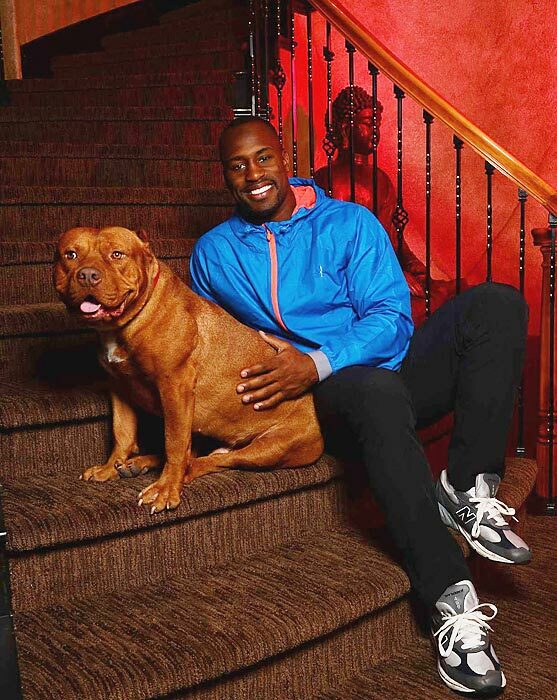 The pups and football community will definitely miss him as a Charger, so to keep up with him and his love for dogs be sure to follow him on his Twitter and Instagram. When he’s not training, Underwood enjoys spending time back home with his labrador retrievers of which he proudly showcases his ‘Dog Father’ love on his Instagram. 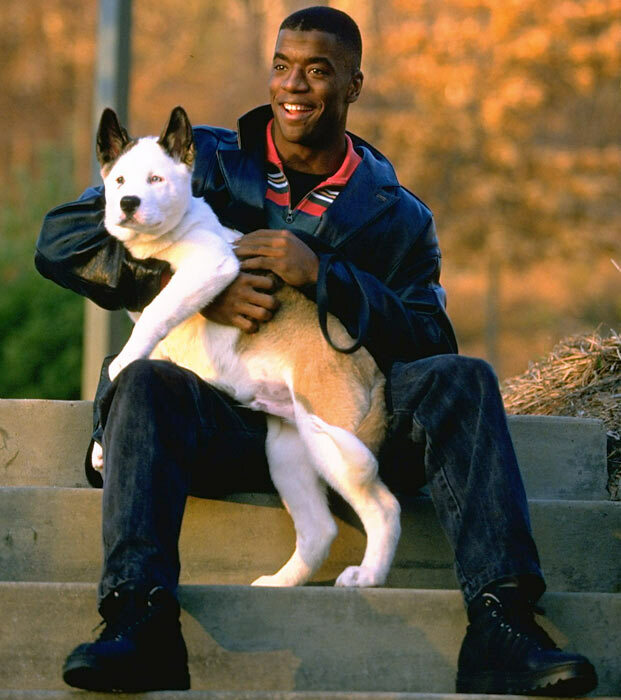 Check out these awesome pics of Underwood and his dogs . 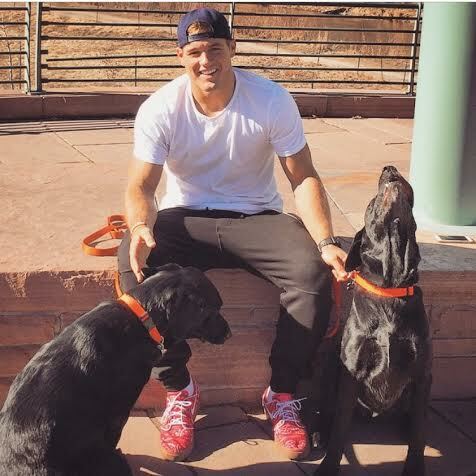 . .
To keep up with Colton Underwood and his paw-some love for the pups follow him on his Instagram and @ColtonUnderwood! 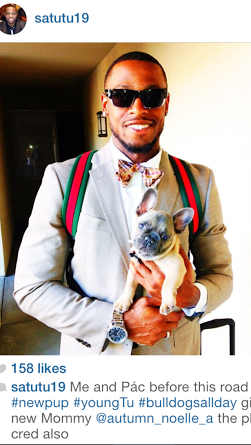 Hey may no longer be a San Diego Charger, but NFL Star Seyi Ajirotutu takes pride in being a dog dad to his French Bull Dog Tupac. You can catch the wide receiver posting pictures of Tupac via social media on the regular. Below is photo I truly adore of him posing with his wife Autumn and Tupac for the 2013 family Christmas photo. Keep up with Seyi and Tupac on Twitter and Instagram at @Satutu19! 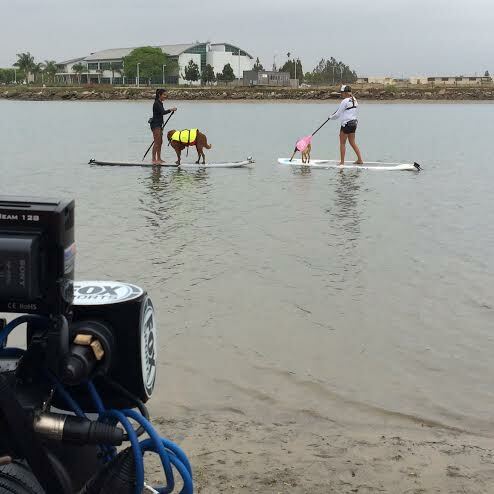 Next is a Chargers star who can often be spotted at the dog beaches in Mission Bay with his Boxer breed Champ. 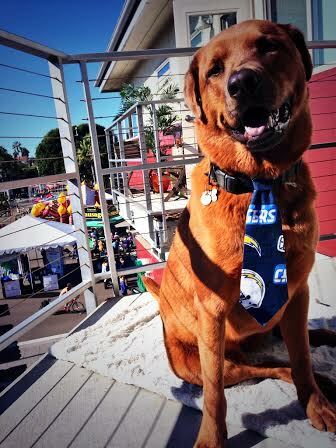 Wide receiver Vincent Brown, is widely known in the San Diego pet community to be a huge fan of Fiesta Island dog park, making friends with park visitors and the humans they walk. 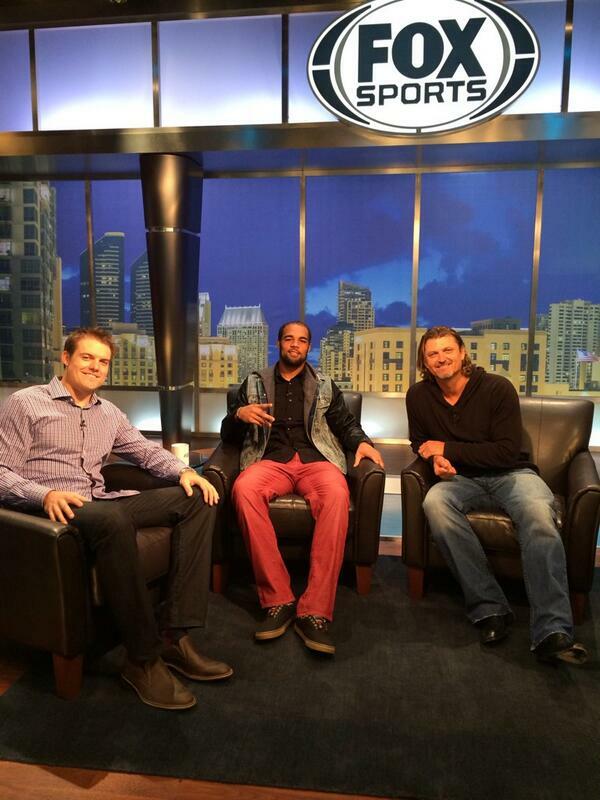 Keep up with Vincent and Champ on social media by following him at @VincentBrown86! 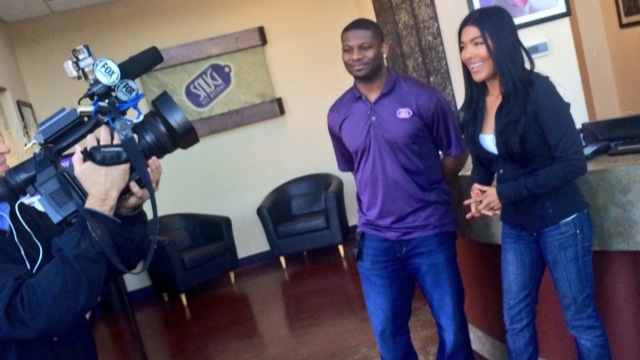 Last but most certainly not least is the ultimate Chargers beast, the legend, the College Hall of Famer and soon to be NFL hall of famer–San Diego’s very own LaDainian Tomlinson ( widely known in as L. T.) While today his athletic talent is still highly recognized all over the sports world, his most prominent legacy was that which he left with the San Diego Chargers. 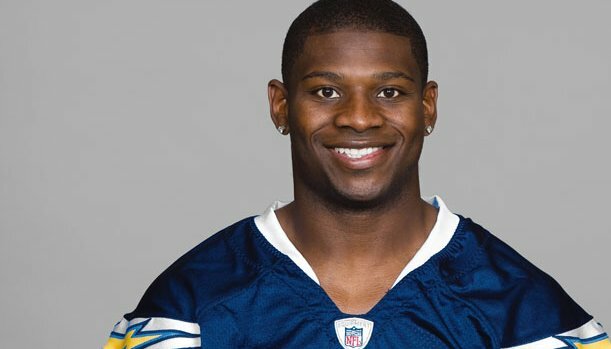 In case you’ve been hiding under a rock, let me just share with you how big time LaDainian Tomlinson is to the game of football and why he makes San Diego proud— For the majority of his 11-year career he played with the San Diego Chargers who selected him as the fifth overall pick in the 2001 NFL Draft. 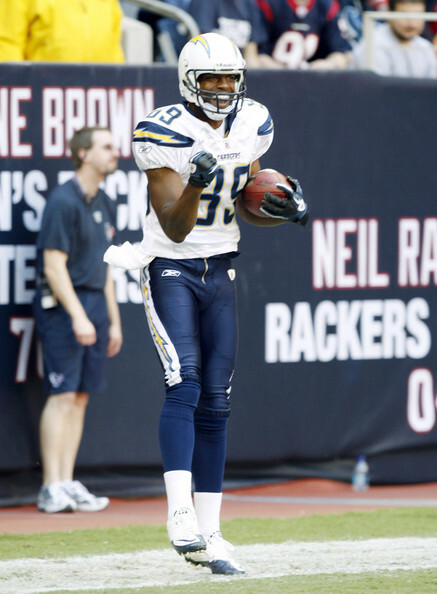 Tomlinson was selected to play five Pro Bowls, was an All-Pro six times, and won two rushing titles (2006 and 2007). At the time of his retirement, he ranked fifth in career rushing yards (13,684), seventh in all-purpose yards (18,456), second in career rushing touchdowns (145), and third in total touchdowns (162). And today he’s currently an analyst on NFL Network. 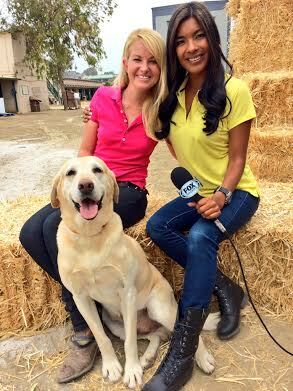 I had the honor of meeting with the San Diego legend last year when he gave FOX Sports San Diego a tour of Snug Pet Resort and where he keeps his MVPS ( Most Valuable Pets ) Click here to watch the feature. 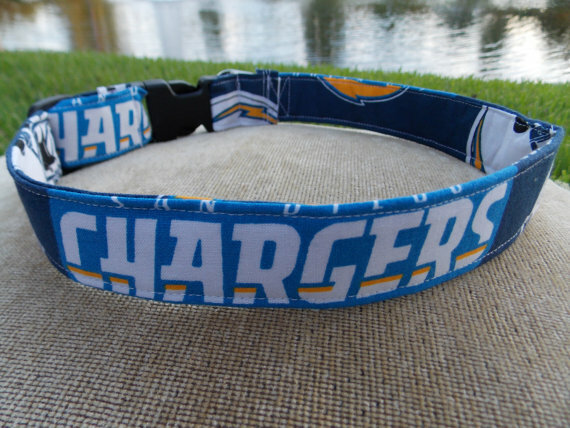 To celebrate your love for dogs and football, gift your dog with an fashionably savvy Chargers drape or bow tie from RuffTies! 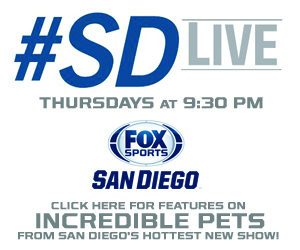 Be sure to catch All-Star athletes and the incredible pets in the San Diego community on Fox Sports San Diego’s new show #SDLive! 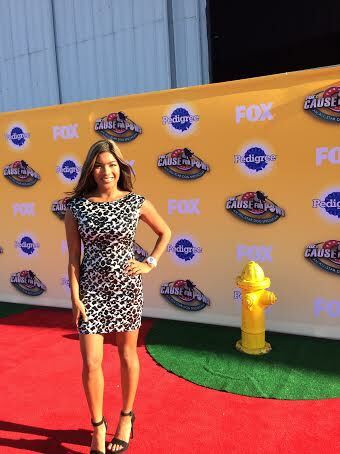 FOX Sports San Diego is available on all cable providers. Check local times for listings! 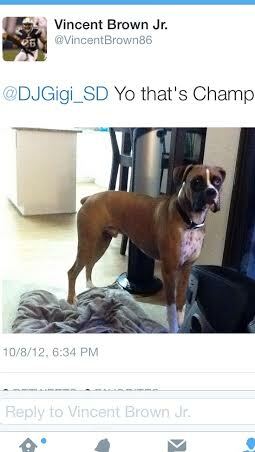 To see more of the NFL’s favorites and their barking beasts keep scrolling! Woof! 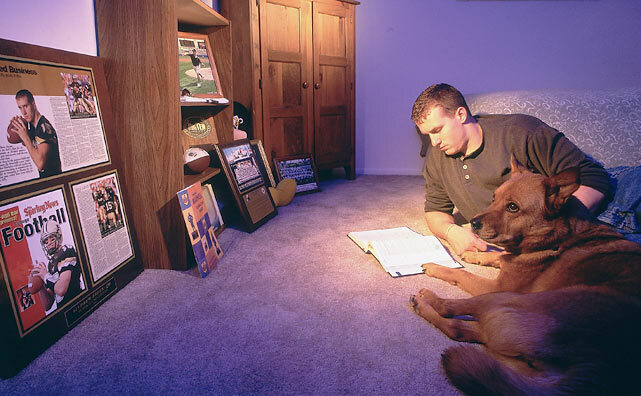 Before he was a Super Bowl winning quarterback, Drew Brees would hit the books with his chow lab mix Sonny. 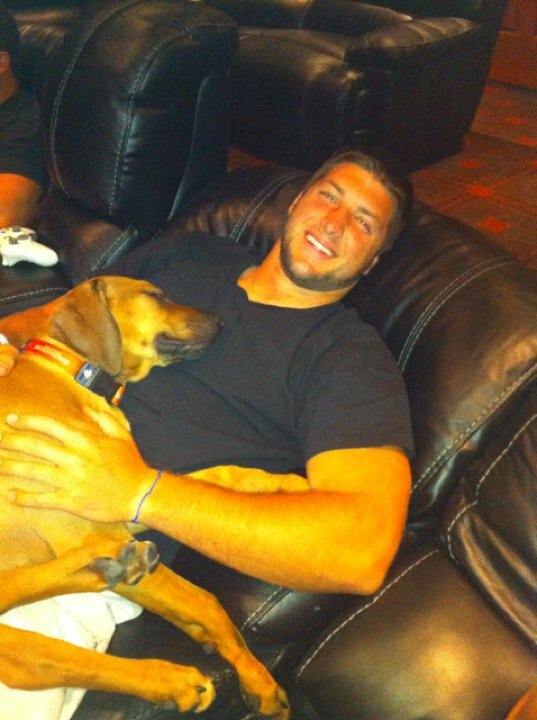 Tim Tebow is in the news after revealing that he changed his dog’s name from Bronco to Bronx after being traded from Bronco’s to the Jets.